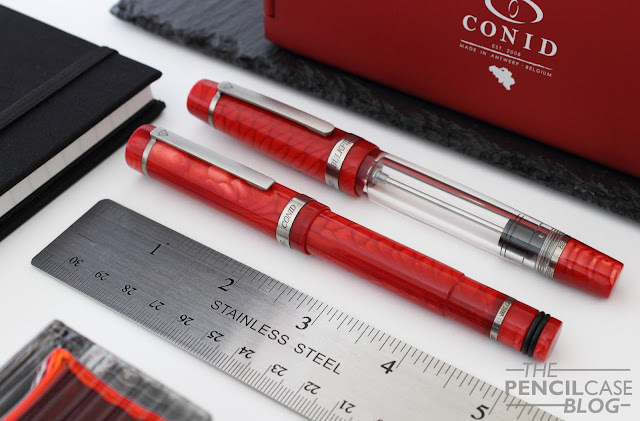 You'll most likely know the Belgian brand Conid for their very industrial-looking demonstrator fountain pens with their -already iconic- Bulkfiller filling system. But in recent years they have also been expanding their offerings through special editions and exclusives for a handful of stores. One of the latest exclusives is the Conid AntwerPPen collection. An hommage to the home base of Conid: Antwerp. The collection is exclusively available from two Antwerp-based retailers, including sponsor of this blog Penworld, who loaned me these two pens for review. I received both the Regular and Kingsize versions on loan to take a look at (Apart from these two, the AntwerPPen is also available in the Giraffe model). First, let's take a look at the Conid Regular Bulkfiller, the 'OG' pen! Even though the design remained identical, the choice of a different material for the AntwerPPen gives the Regular a more gentle, decorative appearance. Less utilitarian, you could say. While the straight cylindrical barrel is still not my favorite, the material does succeed in adding a lot of depth and visual interest. The chatoyant red 'snakeskin' acrylic is absolutely gorgeous, and the color represents the logo of the city. The material is vibrant, and shows some depth depending on how the light hits it. The red acrylic is offset by brushed titanium trims (all machined in-house), which retains that minimalist and industrial mindset. On the clip you can find a diamond engraved, which refers to the diamond district in Antwerp, one of the leading diamond trade regions of the world! To me personally, I think it shows that the Regular was Conid's first design. It's a solid attempt, but it's still a bit rough around the edges. With the Conid Kingsize, they polished the edges, and created a much more elegant pen. 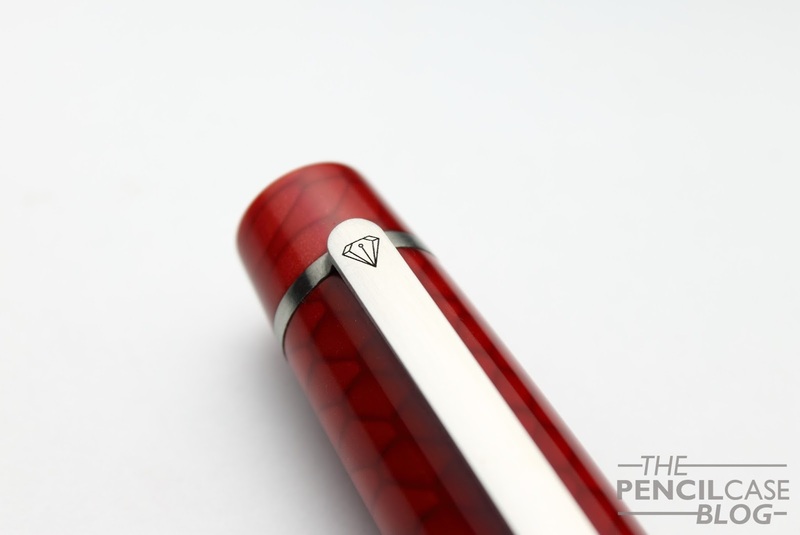 The larger pen with cigar shape is a stylish pen that looks and feels luxurious. 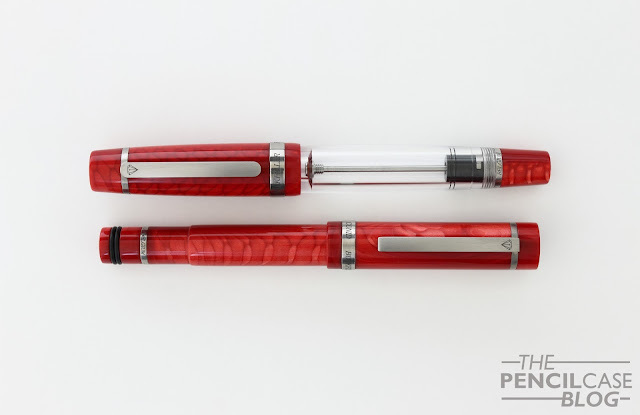 The AntwerPPen edition is available in two colorways: one completely made of the red snakeskin acrylic, and a demonstrator version with clear barrel. The first has a clear ink window behind the section, which shows how much ink is left in the writing reservoir. The latter, the demonstrator version, has a completely clear barrel which shows off the bulkifller mechanism inside. As soon as you pick either one of them up, you'll notice that both the Regular and Kingsize are incredibly comfortable pens. The section on both pens is long and has a concave shape. The titanium threads are smooth and rounded off, and there's only a very slight transition from section to barrel. Both pens can have the cap posted. The Regular has a very straight design, but the back of the barrel has a step down so that you can post the cap (securely held in place by two rubber O-rings). However on both pens, I never felt the need to post the cap, as they are both large enough. The regular measures 13.7 cm (5.39") closed. It retains most of its length sans cap, which translates into a comfortable 13.1 cm (5.16") uncapped. The Regular has a maximum diameter of 1.5 cm (0.6") at the cap. The Kingsize is a step up in size, and measures 14.3 cm (5.63") closed, 13.7 cm (5.39") uncapped. It's noticeably wider at 1.8 cm (0.7") max. Both pens are a good size in terms of length, but the width will most likely determine your personal preference. Since the Kingsize is wider altogether, it also has a noticeably wider section. All the titanium parts (even the threads are titanium) give the pen a solid feel in the hand. Everything fits together as it should, and attention to detail is as it should be on a pen in this price range. You can clearly notice that every aspect of this pen is made with usability and durability in mind. 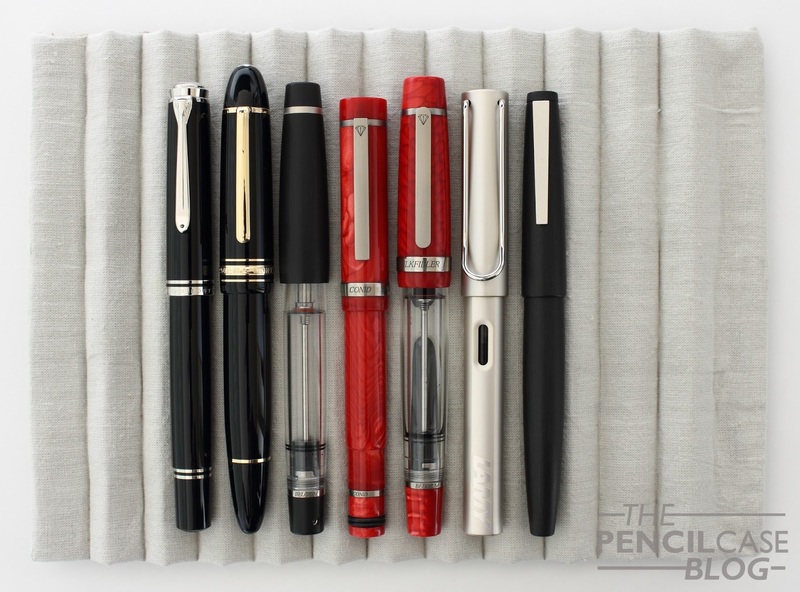 The writing comfort Conid's pens provide is a major part of the allure. But the quality of their nibs also adds some serious value to the table. 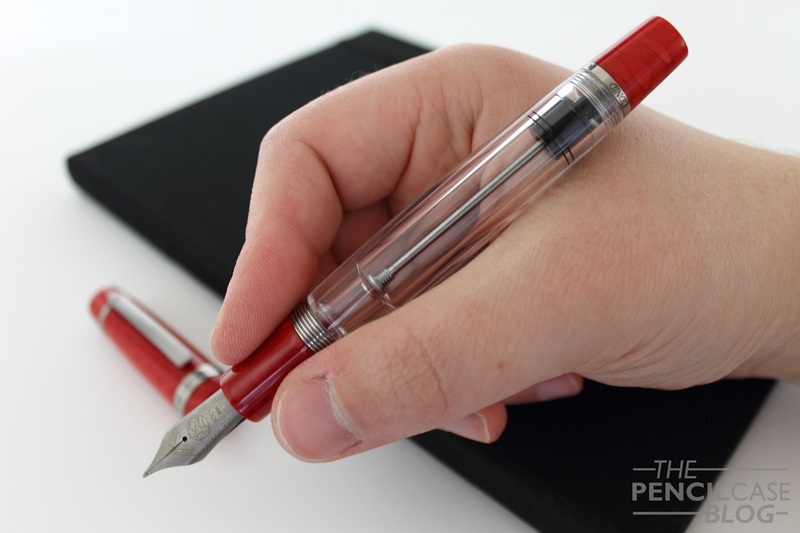 Conid's aim to make a perfect everyday use pen, continues with the nib. 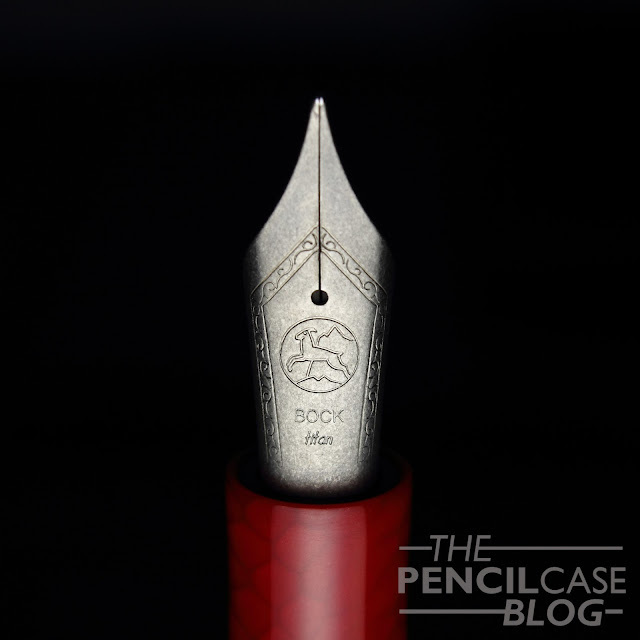 Every Bock nib goes through the hands of their final inspection and in-house nibmeister, who check and adjust each nib (they even come with a certificate that gives the exact specifications of each nib!). 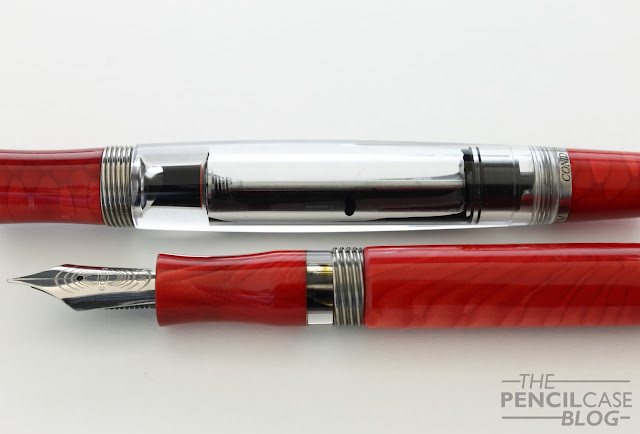 It may feel counter-intuitive to pay 500$+ for a steel or titanium nib. But, with the inspection and adjustment they put into each nib, the difference between a 20 dollar steel nib, or a gold one becomes virtually negligible. The steel #6 medium nib on the Regular is buttery smooth and tuned for a balanced and consistent flow. It's not the most exciting nib ever, but you can definitely notice that this nib has been tuned to perfection. It's a very reliable and consistent performer. The #8 titanium on the Kingsize is soft and bouncy, and the broad nib lays down a wonderfully rich line with a wet flow. I love what Conid did with the design of the AntwerpPen. 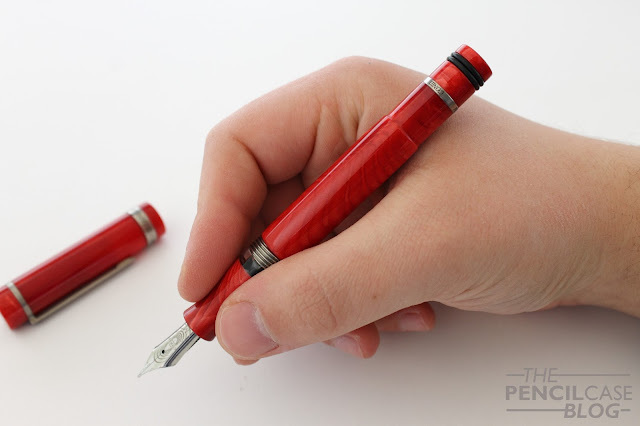 By using this beautiful red material, they transformed a purely utilitarian pen into one that has some character. I'm personally drawn towards the design of the Conid Kingsize, but I DID find out why so many people swear by the Conid Regular. Regardless of your choice between the utilitarian Regular, or grand Kingsize, the sizeable investment is guaranteed to get you a fantastic writer. 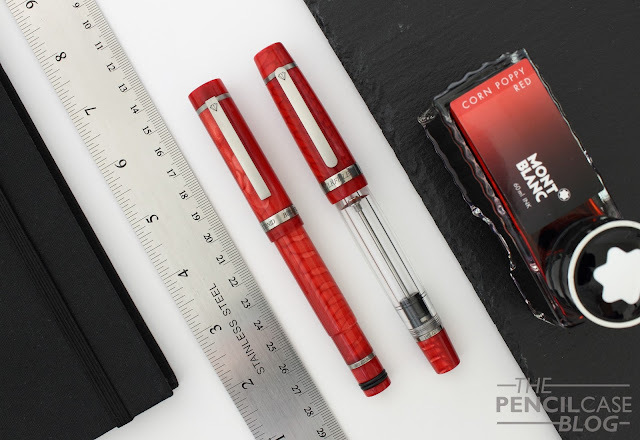 Conid aims to create the perfect everyday pen, and I think they do a fantastic job! With a retail price of 615 EUR for the Regular, and 995 EUR (through Penworld) it's an expensive pen, no doubt about it. But it does bring good value to the table: everything is made in-house, it features the fantastic Bulkfiller filling system and you're guaranteed to get a perfectly tuned nib out of the box. Penworld is a sponsor of this blog. These products were sent on loan, free of charge, so I could write this review. I was in no way influenced in the making of this review, the opinions shared in this review are completely my own! This post does not contain affilate links.